Phillip Grimm brings 25+ years of proven track record in managing both large scale organizations and emerging businesses. Serving as the Chief Financial Officer and then the General Manager of DOD Electronics, Mr. Grimm was instrumental in growing this high technology consumer electronics business from sub $10 million revenue to more than $50 million in a short three years. 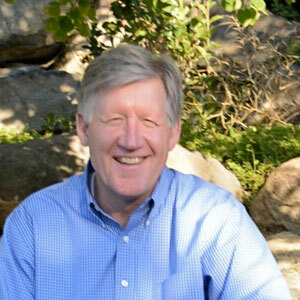 After successfully serving in Corporate America at executive levels for almost 15 years with such companies as Motorola, Bomar Instrument, Harman International and Bull HN Information System, Mr. Grimm decided to venture into developing his own portfolio of business ventures and successfully completed acquisitions, business stabilization and growth, culminating in successful exits with high multiple returns over a 10 year period. Some of his prior companies in this area are US Currency Protection Corporation, Global Pursuit Systems, GeoTrax, and Flight Link. Post his M&A business Mr. Grimm served as the CEO for DxNA LLC, a company bringing leading edge technology to the Biomedical field in the area of rapid and portable disease diagnostic solutions. Since 2011, Mr. Grimm has been devoting his time to his consulting services, mentoring emerging businesses and participating in early stage financial investments.